Silver fish tank stand for aqua 40 silver. 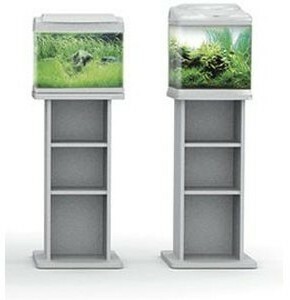 Attractive silver stand specifically made to fit the Aqua 40 aquarium. Strong and sturdy, the stands have a modern matt finish and built in shelves provide extra storage space for aquarium accessories.